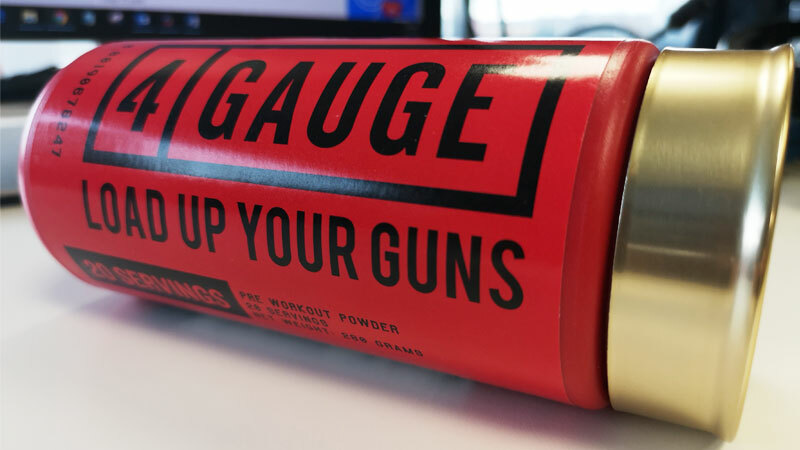 4 Gauge Pre-Workout Review - Can the Shotgun Shell Supplement Really Supercharge Your Workouts? 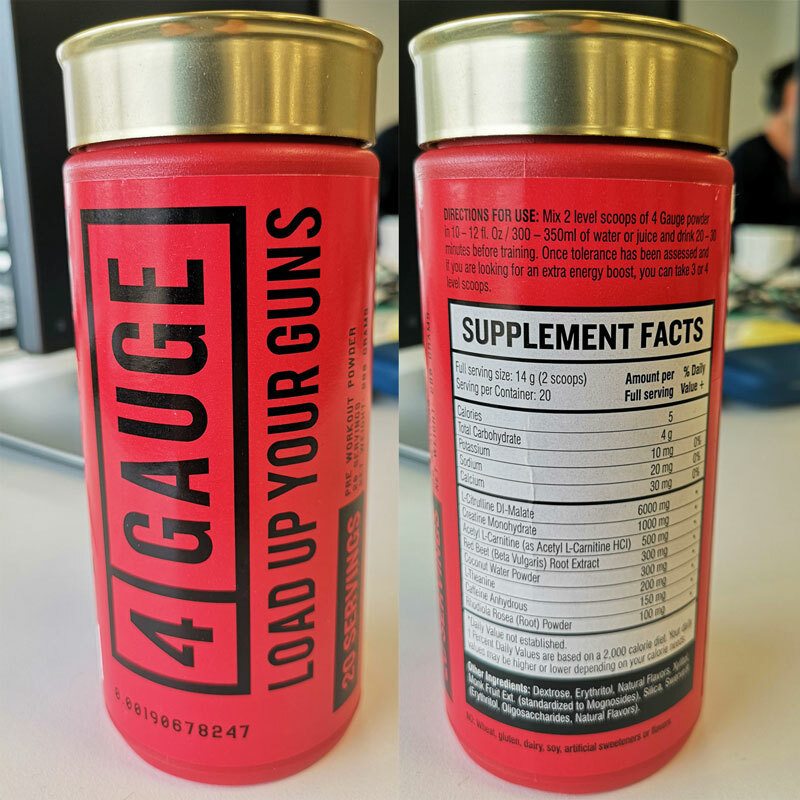 Home » 4 Gauge Pre-Workout Review – Can the Shotgun Shell Supplement Really Supercharge Your Workouts? Can the shotgun shell pre-workout supercharge your sessions, or leave you lifeless on the gym floor? In this review, we break down 4 Gauge’s components to find out. No longer a new kid on the block, 4 Gauge has continued to make waves in the world of pre-workout supplements. As a creation of specialist supplement company Roar Ambition, this shotgun-shelled powder prides itself on its premium-quality status, claiming to be the best choice on the market. However, we’ve been in this industry too long to take things on face value. The only way to be the best is to prove it. Pre-workout supplements are designed to help users get the most out of every session. Whether that’s lifting weights, cardio, or team sports; a high-quality pre-workout can provide numerous benefits. People use pre-workout supplements for many different reasons. For some, it’s all about feeling energized enough to make the most out of tough days in the gym or on the track. Alternatively, others may find a pre-workout supplement helps them retain focus in the weightlifting room . Consequently, not all pre-workouts are the same. Some are much more effective, powerful and potent than others. Choosing the right pre-workout for you will depend heavily on your goals. When cutting-edge ingredients are available via an accessible supplement, athletes and everyday people can find the energy, drive, and motivation to get the best from their specific workout. One recent study claims that not only should pre-workout supplementation be safe – it may also influence your body composition, strength gains, and lean mass accretion . Another saw supported increases in total workout volume too . For many pre-workout supplements, the fundamental goal is elevated energy. However, more intelligent formulas are also developed to offer additional benefits beyond the baseline. After years spent reviewing supplements, 4 Gauge is undeniably one of the most impressive we’ve seen. Throughout the entire test process, it scored highly time and time again, showing itself to be one of the pack leaders of the pre-workout world. When most settle on one aspect of improving a workout, 4 Gauge tries to hit them all. According to its creators, 4 Gauge focuses on; “Delivering the most effective, explosive and focused workout experience possible.” They also claim their supplement is the safest and strongest pre-workout on the market today. For this to be true, an intelligent well-informed formula simply must exist. Fortunately for 4 Gauge, their choice of eight research-supported ingredients stacks up to their claim. Each one is an all-natural inclusion that appears to be served appropriately, generously, and safely. There are also no artificial sweeteners present in this supplement, which is a reassuring sign of quality. A choice of clean, all-natural ingredients only bolsters the supplement’s supposedly premium status. It’s also backed up even further by packaging that is not only visually striking but expresses quality at the touch. At a glance, 4 Gauge certainly looks impressive. There’s no denying it catches the eye. However, this isn’t a review based on looks alone. Instead, we must break down the ingredient profile in accordance with our strict reviewing criteria. We put every supplement we examine through the exact same test procedure, to establish fair judgment across the board. 4 Gauge’s main objective is to supply the tools you need to reap the most reward from any session. After review, our team found this particular powder had one of the highest levels of potential we’ve seen to date. A complete, full-spectrum support complex should allow the user to gain an advantage in almost every physical and mental aspect. 4 Gauge should provide its users with a strong sense of increased energy. Looking at the ingredient profile, this may manifest itself in both physical performance and improved mental focus. To achieve this, 4 Gauge have invested in the powerful ergonomic potential of Caffeine Anhydrous. However, rather than rely on caffeine alone, 4 Gauge have employed the efforts of additional energy supporting ingredients too. Focus is an often-underappreciated asset until you need it in a workout. The inability to engage your mind on the task at hand can make exercise hard. It can also make working out unproductive and setting new personal bests feel impossible. 4 Gauge counteract this issue with ‘Smart Caffeine’, a clever combination of Caffeine Anhydrous and L-Theanine. Whereas Caffeine should supply a powerful boost, L-Theanine helps to smooth the ascent and descent, allowing for better focus and a cleaner lift. In addition to ‘Smart Caffeine’, 4 Gauge also contains other cognitive enhancing ingredients including Creatine Monohydrate and Rhodiola Rosea (Root) powder. Heightened endurance should allow for increases in overall workout volume. Simply put – if you can do more, you may gain more. 4 Gauge aim to add more to their user’s energy reserves across a complex of five endurance ingredients. The likes of Creatine and Caffeine have been shown to directly influence output and endurance. Coconut Water, on the other hand, can improve hydration, helping the body access important electrolytes. Furthermore, Red Beet Extract and L-Citrulline DL-Malate should dilate the blood vessels to allow more blood to flow through them. Most bodybuilders look to achieve muscle pumps in almost every session. When this occurs, the muscle swells and looks noticeably bigger during and shortly after a session. According to leading experts, muscle pumps may also enhance protein synthesis, resulting in bigger, thicker fiber development . 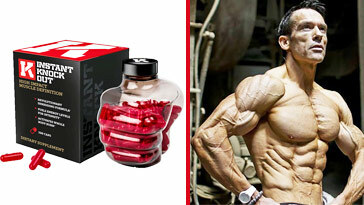 The vasodilating pair of ingredients Red Beet and L-Citrulline should help users experience better muscle pumps. According to the 4 Gauge website, this is one of their main intra-workout ingredients. As previously mentioned, 4 Gauge features a completely natural formula. Each of it’s suggested serving sizes have been created in accordance with scientific guidelines, which means they should not pose an unnecessary risk or dangerous side effects. However, owning an all-natural formula isn’t the only safety asset in this supplement. 4 Gauge is also free from proprietary blends, meaning there are no undisclosed ingredients. This may seem trivial. But as veteran supplement reviewers, we know the importance of transparency. This shows there are no fillers crammed into 4 Gauge, or worse, hidden harmful chemicals. Transparency is always considered a sign of trust and an indication of safety in a SpotMeBro review. Key point – After careful scrutiny of its formula our team considers 4 Gauge to be safe for consumption. 4 Gauge contains eight natural ingredients. Through the ingredient testing procedure, we also found each inclusion to provide properties suited to a pre-workout. No compound or mineral stood out of place and we found no sign of unnecessary fillers. To discover the benefits and potential of each ingredient we cross-examined them with relevant, up-to-date research. Every scientific study and resource used can be found within the reference section at the bottom of this review. Not only did we find appropriate and intelligent ingredients, but optimized servings too. When compared to cutting-edge research and scientific studies, we saw 4 Gauge’s makers have given a high-level of consideration to the formula. Every single element should help the user achieve a specific pre-workout goal, without risking negative side-effects. To summarize – 4 Gauge outdoes many of its competitors with a powerful, effective, intelligently composed formula. Caffeine is a commonly used pre-workout ingredient, which some athletes also use on its own. Studies have shown that it can improve physical output AND hold cognitive benefits too. According to current research, Caffeine can improve the perception of alertness and wakefulness, which may help gym-goers stay engaged . Furthermore, Caffeine has been proven to enhance sport performance in athletes (weightlifters included)  . The International Society of Sports Nutrition claims the Caffeine Anhydrous form found in 4 Gauge is superior to others, such as that contained in coffee or tea . Commonly consumed within tea, L-Theanine has been shown to positively influence brain function. It can significantly increase activity in the alpha frequency band, which helps to relax the mind, without making users feel drowsy  . Recent research even indicated L-Theanine can sharpen reaction times and attention during high pressure situations . However, L-Theanine’s place in a pre-workout comes to light when combined with Caffeine. Often dubbed ‘Smart Caffeine’, this blend allows users to experience a smooth, clean, and controlled energy boost  . It should keep gym goers firmly focused on the task at hand for a bigger, better workout . Creatine is one of the most heavily researched supplements on the planet. It has repeatedly been shown to improve physical performance, as well as holding certain cognitive benefits. According to the ISSN, Creatine works as an ergonomic aid that allows athletes to perform more work, while being proven to improve power and strength in responsive athletes . Other studies also confirm creatine can help reduce fatigue . However, 4 Gauge’s creators say they include Creatine to improve hydration and enhance cognition. The science aligns with these claims, with studies showing both increased total body water  and better brain performance . This intelligent addition should improve your workout results by reducing fatigue, facilitating better water intake, and enhancing focus. Once absorbed by the body, L-Citrulline boosts blood nitric oxide (NO) levels. This dilates the blood vessels to allow for better flow, which should result in increased muscle pumps. Not only that, but NO is also a potential modulator of muscle energy metabolism, alongside mitochondrial respiration. According to researchers, L-Citrulline can enhance athletic performance while also relieving muscle soreness . This should allow 4 Gauge users to train harder for longer, recover quicker and feel less exhausted post-workout . As a pre-workout ingredient, L-Citrulline provides more than just an energizing effect. It should facilitate legitimate improvements in performance, which can translate as increased gains post-training. As users should be able to push harder during workouts, they should reap more rewards from the amino acid than if they’d exercised without it. As the name suggests, pre-workout supplements should be taken before exercise. A good manufacturer will have developed a formula that works synergistically to provide support from the first rep. For optimum results, it is always recommended to follow the product guidelines. Following manufacturer suggestions should allow for correct, planned supplementation. By taking the recommended amount at the proposed times, users can a create an ideal scenario for each ingredient to take effect as planned. Failure to consume a pre-workout as suggested may alter its potency, power, and efficacy. 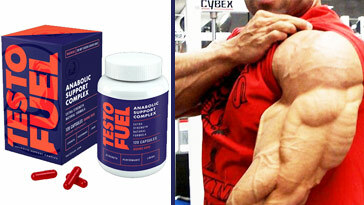 4 Gauge, for example, advises supplementation 30-minutes before exercise. This should allow enough time for its formula to be absorbed by the body and start to work while training begins. Due to the caffeine content of this product, we do not advise supplementation close to sleep. It is also suggested you reduce your overall caffeine intake throughout the remainder of the day. How much is 4 Gauge? 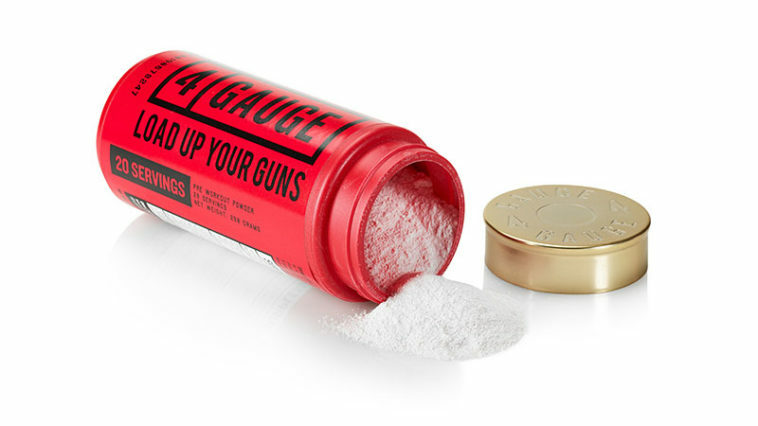 A complete container of 4 Gauge contains 280 grams of powder, which amounts to 20 servings. However, the creators of this pre-workout offer two deals, which may interest those planning to consistently experience 4-Gauge. If you are looking to supplement with 4 Gauge for an ongoing period, these multi-buy options may save you a lot of cash. For those wishing to purchase two cannisters, free US and UK shipping is included in the price. Additionally, when three containers are bought together, a fourth is also added to the order at no extra cost. The four cannister bundle can also be shipped to the US and UK for free. After review, our team can confirm 4 Gauge as being the most impressive pre-workout we’ve seen. It was clear from the start that this is a clean cut, intelligent and natural formula. We saw nothing but essential ingredients, included for a specific purpose and in efficient serving sizes. Our team discovered no bulking or filler compounds, nor did they find any undisclosed blends. Due to the transparency and natural profile of 4 Gauge, we were able to say this pre-workout should be safe to use. Furthermore, an alignment with cutting-edge scientific research revealed high-levels of potential effectiveness. We were able to cross-examine each ingredient with reputable scientific studies to analyze its potential place in a pre-workout. Every ingredient is worthy of its place in the 4 Gauge formula, with each one shown to serve a specific purpose. For further information and reading please consult the reference list below. Yet we cannot give a fair review without commenting on cost. It’s evident that 4 Gauge clearly sits in the premium product price range, especially when compared to lower-tier, cheaper alternatives. However, we do believe 4 Gauge is worth the cost. While we understand it may be overbudget for some, we feel 4 Gauge’s price tag fairly reflects its premium quality. In terms of value for money, we always recommend a reputable, premium product over lower-quality alternatives. 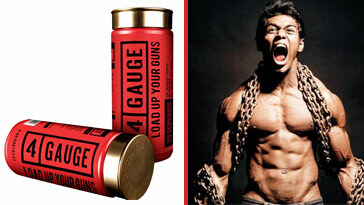 To summarize – 4 Gauge showed a complete pre-workout complex designed to deliver maximum efficiency during workouts. If you are looking for a premium supplement backed by cutting-edge science, 4-Gauge could be the one. Cappelletti S, Piacentino D, Sani G, Aromatario M. Caffeine: cognitive and physical performance enhancer or psychoactive drug?. Curr Neuropharmacol. 2015;13(1):71-88. Del Coso, J et al (2012). Dose response effects of a caffeine-containing energy drink on muscle performance: a repeated measures design. Journal of the international Society of Sports Nutrition. May 9:21. Nobre, A. C., Rao, A., & Owen, G. N. (2018). L-theanine, a natural constituent in tea, and its effect on mental state. Asia Pacific Journal of Clinical Nutrition,17. Powers ME, Arnold BL, Weltman AL, et al. Creatine Supplementation Increases Total Body Water Without Altering Fluid Distribution. J Athl Train. 2003;38(1):44-50. Rae C, Digney AL, McEwan SR, Bates TC. Oral creatine monohydrate supplementation improves brain performance: a double-blind, placebo-controlled, cross-over trial. Proc Biol Sci. 2003;270(1529):2147-50.